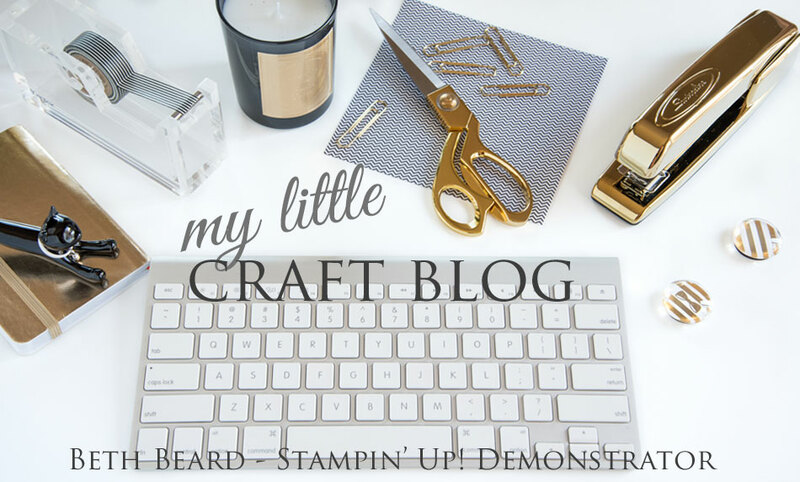 My little craft blog: Happy Easter! Spring has sprung and it's time for Pals Blog Hop! Today the Stampin' Pretty Pals are sharing some fabulous Spring themed cards and projects that we think you'll enjoy! 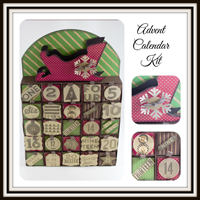 You've probably hopped over from Jennifer Takacs at My Stampin' Blog, I'm stop number 12 on the Pals Hop and I'm glad you hopped in! 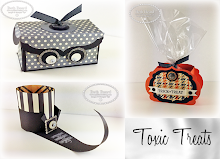 I'll help you "hop along" from blog to blog where you'll find great ideas from the Stampin' Pretty Pals! Should you hop off course, simply click on any of the links in the Pals Hop Line-up below and you'll be back on track. If this little basket looks familiar, it's the candy box I made for Valentine's Day, but this time I added a handle cut from the Tasteful Trim Bigz XL Die and turned it into a basket. If you would like to watch the video I made at Valentine's Day for the box, please click here. 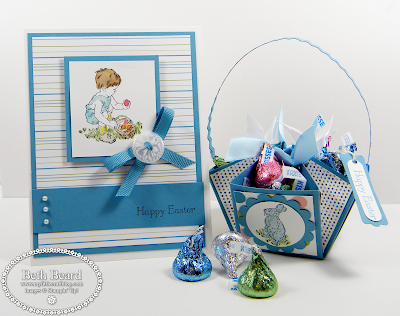 Now hop along for more inspiring ideas from Linda Fisher at Linda's Stampin Loft, stop number 13 on the Spring Pals Blog Hop! Thanks for "hopping" by! 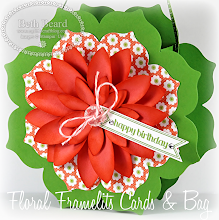 Precious card and basket, Beth! 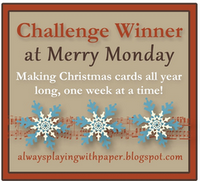 Love the contrast of the stripe pattern against the watercolored stamp image! Great gift combo! SWEET and CUTE and ADORABLE!!!! 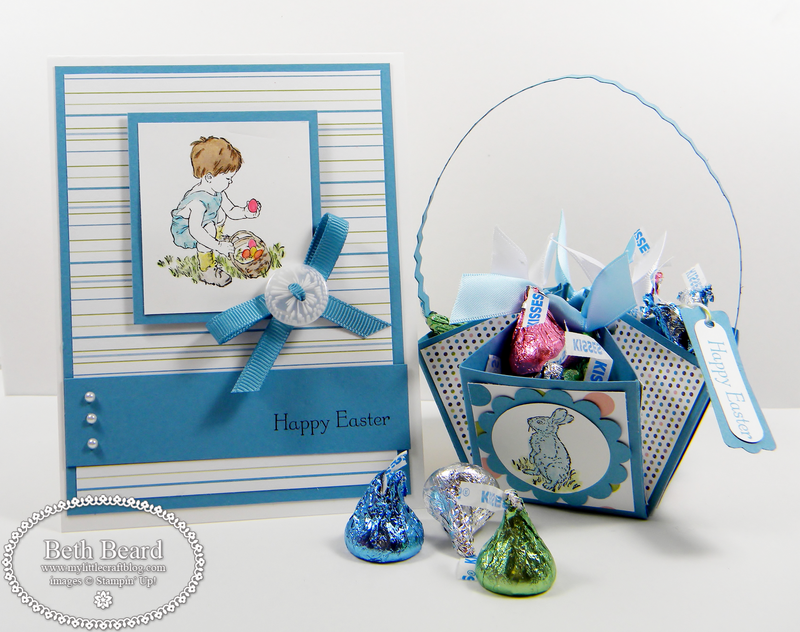 Beautiful, crisp card and adorable basket! Very sweet! Love both! What a great combo of beauty ... Your use of the Marina Mist so brought this card to life! TFS! I can't wait to make the basket, Beth. I love the colors ~ I would not have thought of them for Easter, but they look fresh and so right. These are great together! The paper and sweet images are perfect for each other. So cute! You are wonderfully talented! I am such a fan of your artwork! This is stunning. Love the basket.